Back in January I had my photographer friend Liz take a few headshot for me. In exchange I told her that I would make her a quilt. 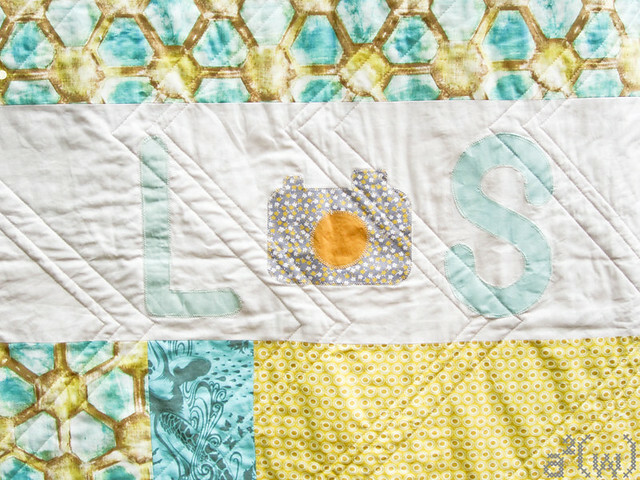 I sent some inspiration quilts over to her to get a sense of what she wanted and she LOVED this one. It took me a while to get around to making the quilt (sorry Liz!) but she was super happy with how it turned out. Mmm, yummy. 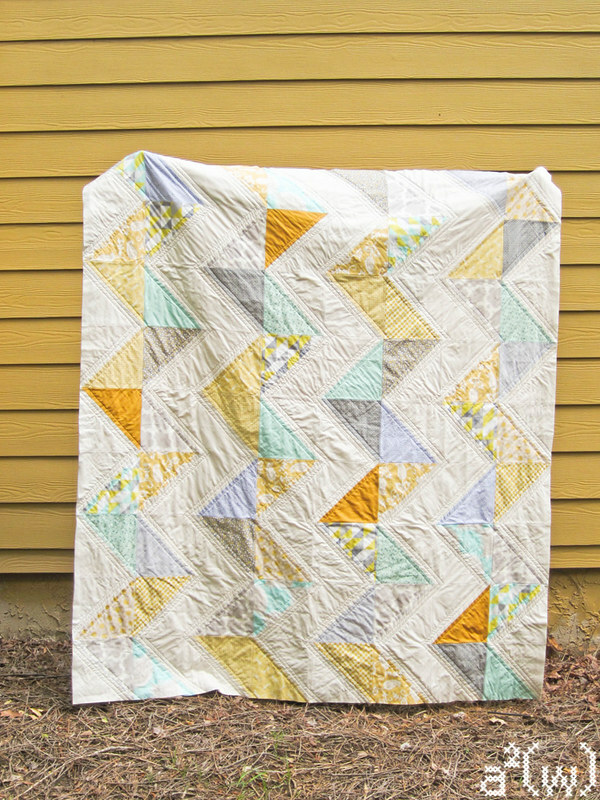 I love that Laura Gunn print on the back too - who needs to EPP when you can use that? I love the fabrics! What a relaxing palette! so pretty! I love the fabrics you put in there! Turned out great! 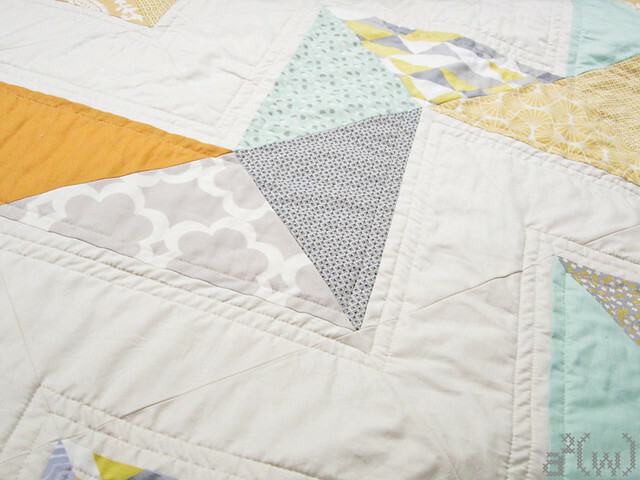 Who wouldn't LOVE this quilt?!!?? I totally love the camera and initials on the back. Brilliant! 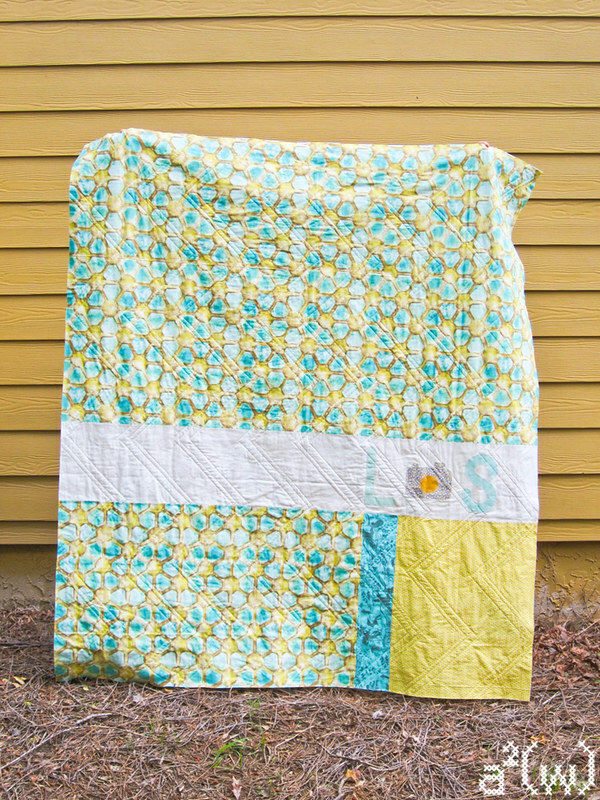 Great quilt--and the back totally rocks! !